More of a Crime than a Road Name? 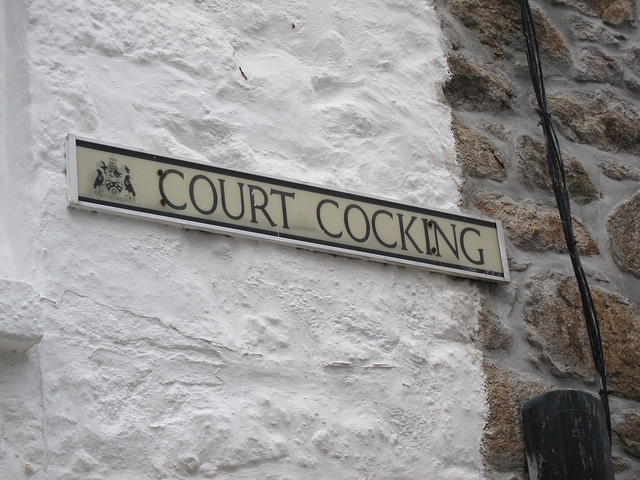 This road name does, indeed, exist – in the town of St Ives in the English county of Cornwall. Despite its rather lewd sounding name we are assured that this refers to a place where boats were once moored. Court Cocking is now a pedestrian cobbled street leading from the main street to the harbor front of this picturesque town. 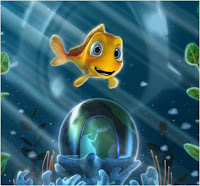 Atlas is a playful little fish – quite happy in his tank (unlike another animated fish that we could name, but we won’t!). However, that happiness comes to an end when a frightening and ominous force is unleashed on his tank. It’s up to Atlas to put things right! I’m not quite sure why the animation is set in Italy but to be perfectly honest it makes a great opening sequence so perhaps that’s why! 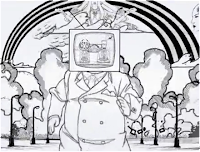 This lovely animated short is the collective final project of the University of Central Florida’s Department of Digital Media's Visual Language Track, class of '09. Atlas' Revenge took first place in the Industry Animation Category of the SIGGRAPH SpaceTime Competition and Exhibition. This very cool animation is by Thomas Beg, a digital artist currently studying CG Arts and Animation at UCA Rochester. If you ever wondered how mushrooms reproduce then look no further! Sure, Wikipedia will have all the necessary animation but will it have animation? This animation forms part of Spectacular Science, a collaborative project between the University for the Creative Arts and the University of Kent which aims to provide a wide audience with access to scientific knowledge and support the education of students in science subjects. 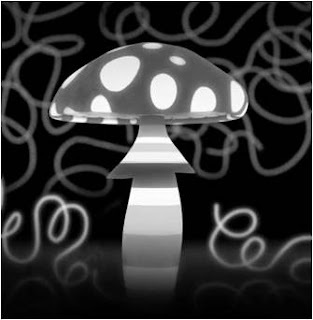 You may have spotted a nod in the direction of 1920's animation such as the Silly Symphonies series and other early Walt Disney shorts and you would be correct in thinking that Mr Beg was inspired by the animation of yesteryear in order to explain the science of today, in this case the lifecycle of a mushroom. 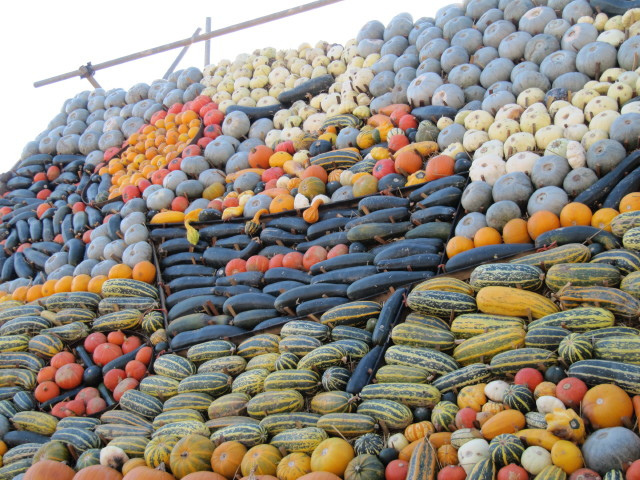 You're Never Bored with a Gourd! It's strange how traditions start. 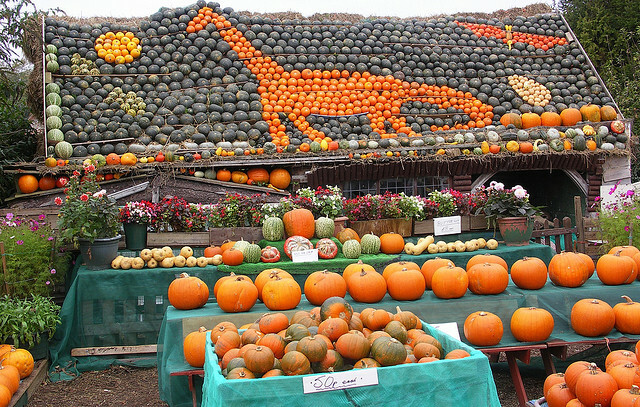 In the late 1960s Ralph Upton, a farmer from the small, picturesque English village of Slindon in the county of West Sussex place his yearly crop of pumpkins, squashes and gourds on his shed to ripen. 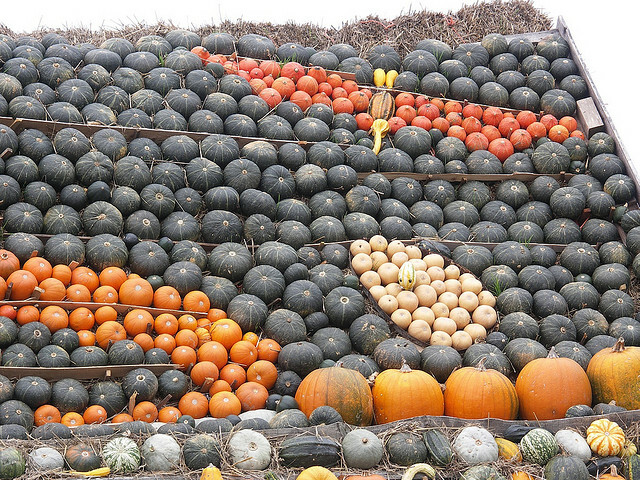 The colors and shapes of his harvest soon attracted visitors - and things have never been quite the same in Slindon since. 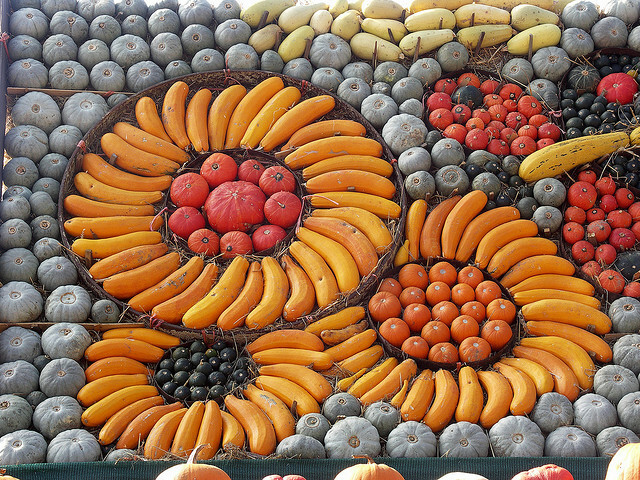 The next year he did it again, but began to arrange the fruit in patterns. 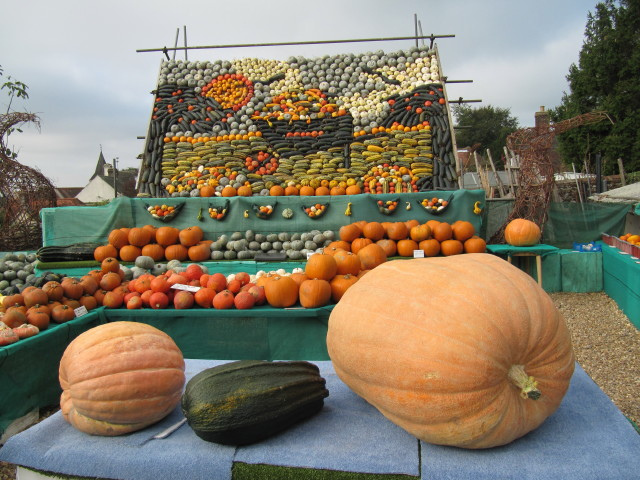 As the years went by his son Robin joined in the fun and the displays became bigger and more complex. So big that a few years ago the original shed collapsed under the weight. The displays are now created using a scaffolded structure. Of course when you commit to doing this sort of thing on an annual basis then expectations grow. 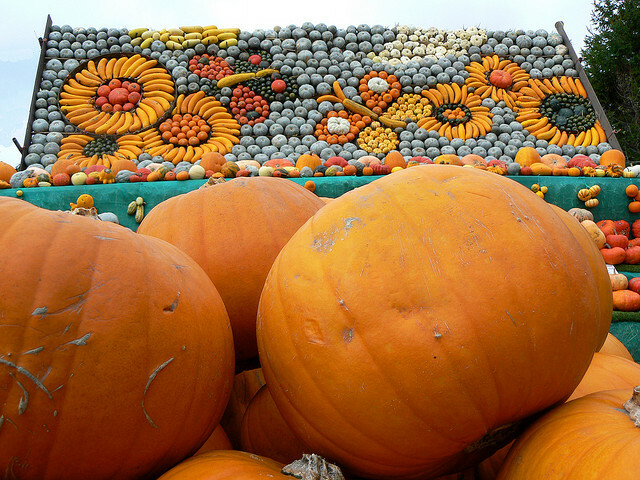 This year is no disappointment - the main display has a length of 20 feet and a width of 12. 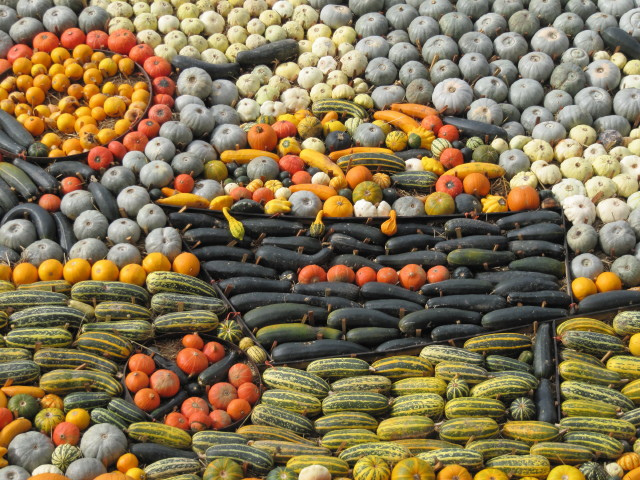 There are about 600 fruit making up this year’s collage, representing around a hundred varieties of pumpkins, squashes and gourds. It is a pastoral scene- a wheelbarrow contains harvested fruit under a typically grey English sky. Yet the sun is still shining! The display’s life span is very dependent on the weather. It will normally stay up until the middle of November but it is the elements which will decide the duration of the display. 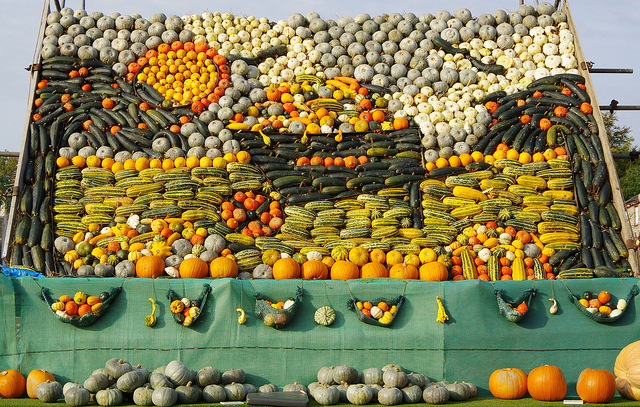 Yet when this finally succumbs to the weather there is always next year to look forward to – after all, you're never bored with a gourd! Just to prove it, here are the dinosaurs from 2007 and the sunflowers from 2009. Have you ever wondered what there is for entertainment in a totalitarian Stalinist dictatorship with a dead but nevertheless eternal president? It sounds like something Eric Idle might ask in a Monty Python sketch and is an idle thought for us, perhaps. Yet for the people of North Korea the list of answers is hardly as endless as their deceased president’s rule. 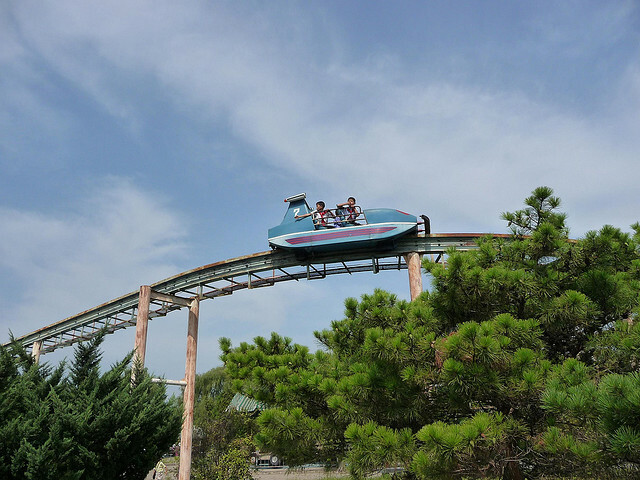 Mangyongdae funfair would certainly feature high on the list. 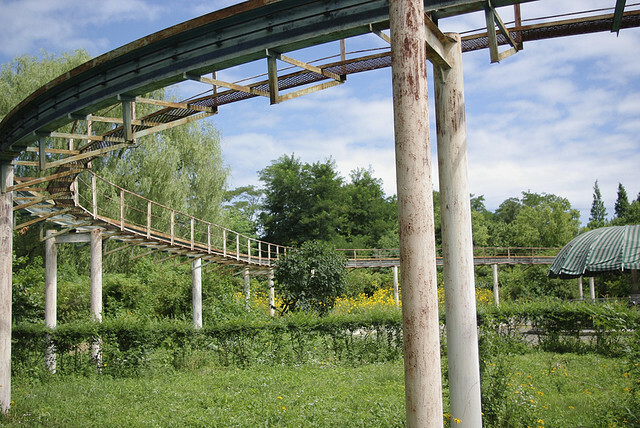 Yet from our perspective it is little more than a rusting death trap. 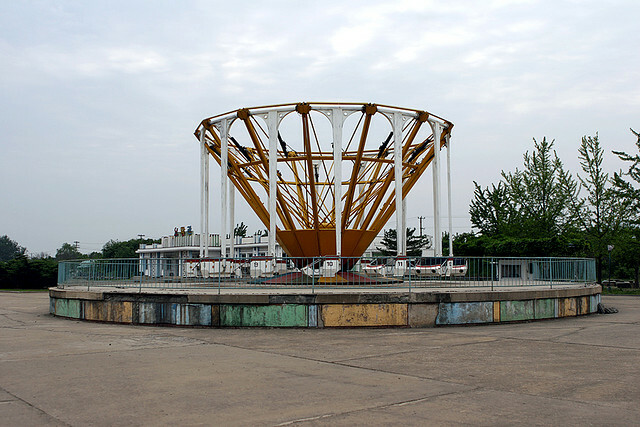 Situated about ten miles from the capital city of Pyongyang, Mangyongdae funfair is at first sight almost a parody of what should be a busy and thriving centre of amusement. 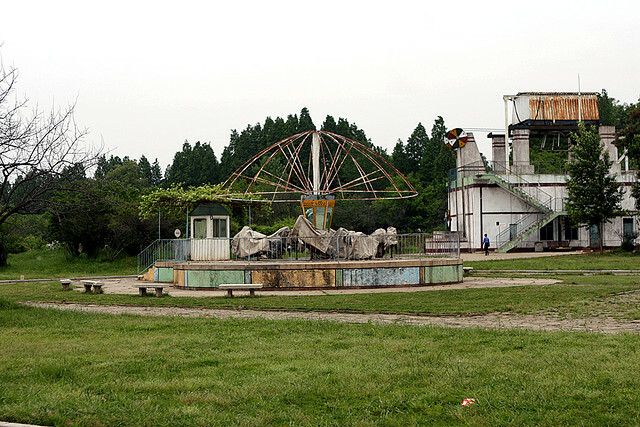 Yet visitors from outside the stricken country, where up to 1 in 13 of the population has succumbed to famine over the last ten years have noted how empty the funfair seems to always be. 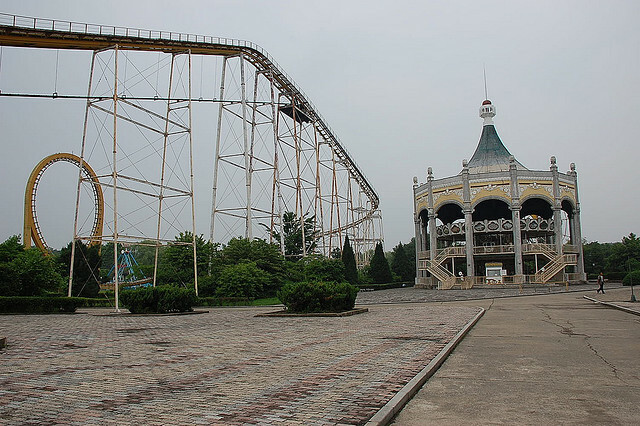 Yet all the fun of the fair can be a deadly business in North Korea. 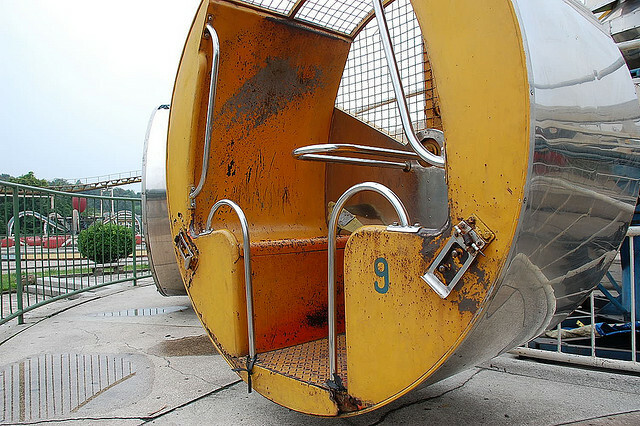 The rides at the park are so ramshackle that repairs are done on an as and when, ad hoc basis. 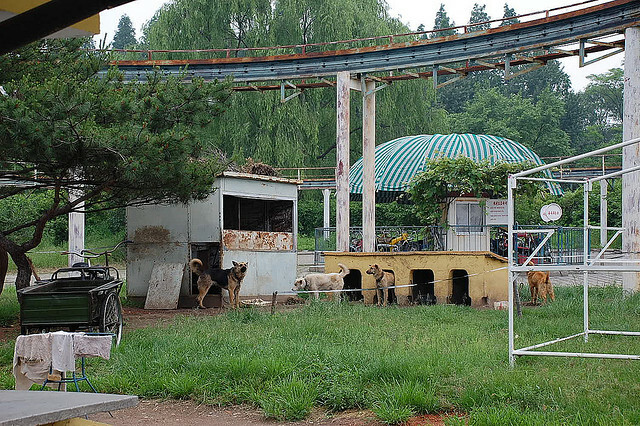 To avoid the deaths of important North Koreans or overseas visitors (whose foreign currency is rather more important) local farmers are often recruited to test the rides for safety. 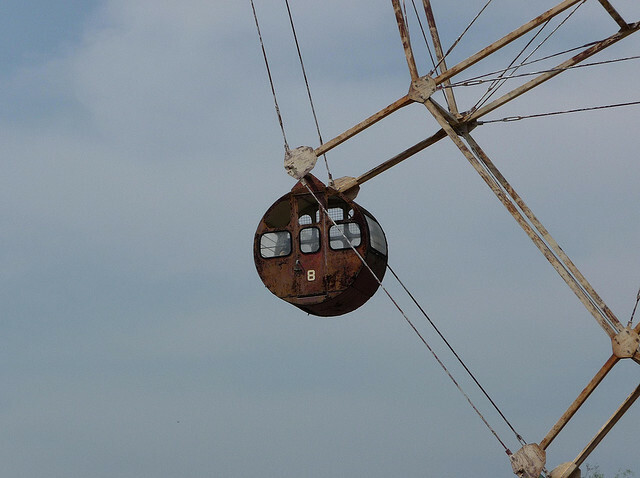 This must be the only place in the world where a knock on the door and the words you’re going to the funfair are met with dread. 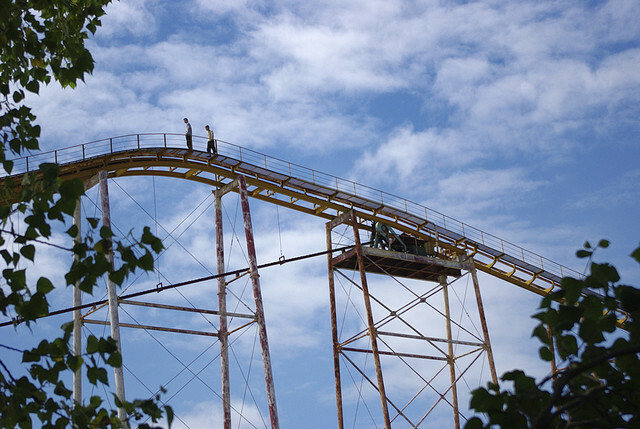 Workers are often seen traipsing up and down the rides with basic tools, riveting a bolt back in to place here, bashing in a loose screw there. It doesn’t exactly inspire the visitor with confidence. 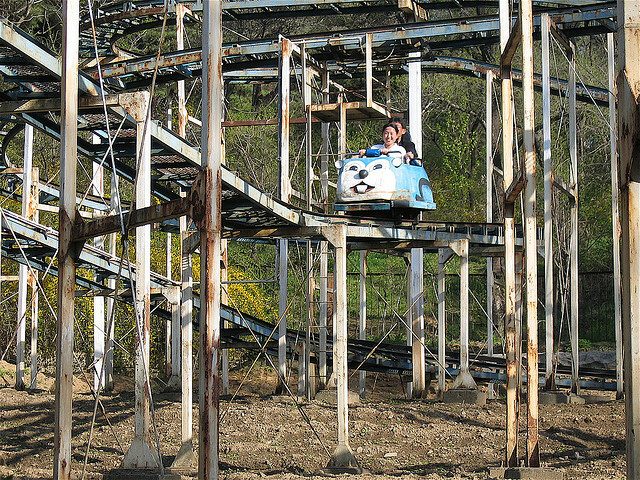 Yet, you might think to yourself, it looks ramshackle, but surely they wouldn't let people on if it was unsafe? Take a closer look. 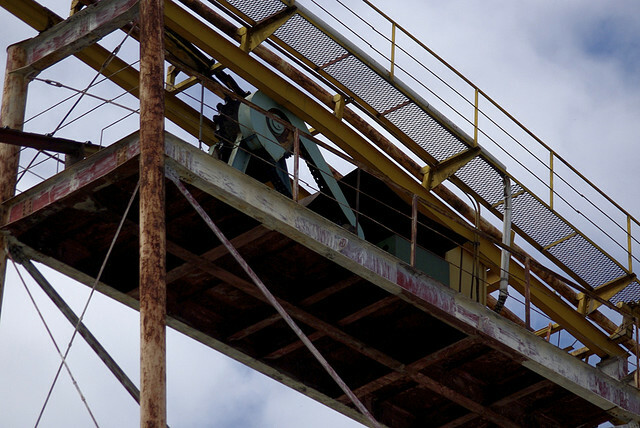 Other countries have health and safety laws which are bemoaned for their stringency and attention to detail. 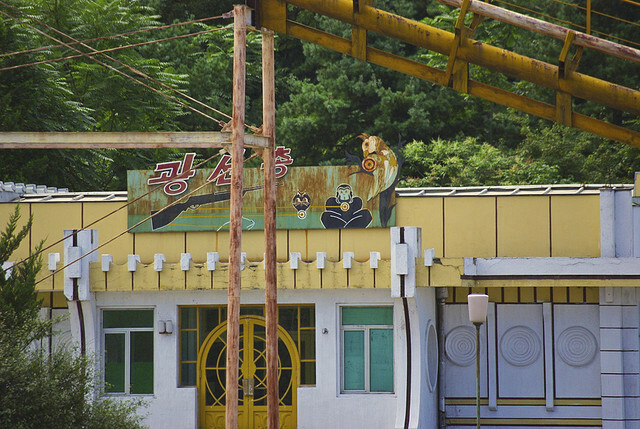 Yet a glimpse of the alternative might just convince most people that the unconventional approach of the North Koreans to even the most basic of safety standards would not be a suitable substitute. 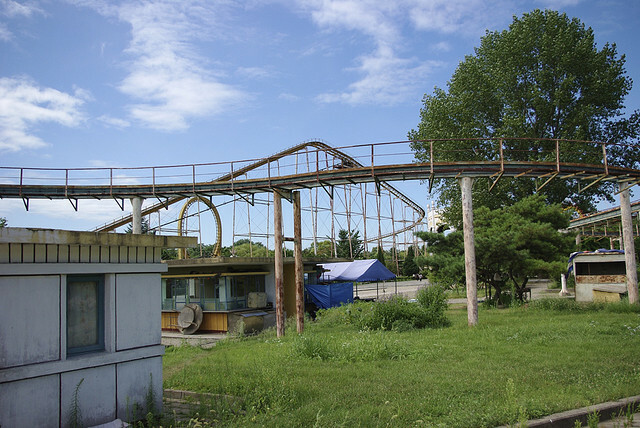 Harnesses regularly unlock on the rollercoaster leaving terrified passengers bearing down on them and counting the seconds until it is over (one way or another). 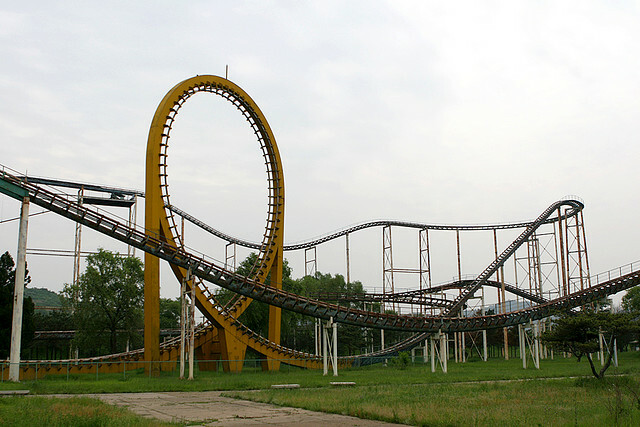 This really is a white knuckle ride, without exaggeration. Or, if you would rather your knuckles the usual color, say hurrah and wave your hands in the air (like you don't care). Easy when there is little to keep you inside and possibly, just possibly, a kind of heaven for mischievous boys with a burgeoning Peter Pan syndrome or a death wish! 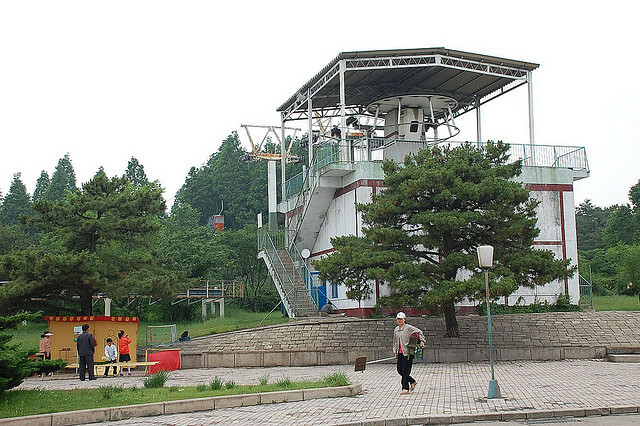 For some reason, ordinary North Koreans tend to avoid the park. Yet when foreign journalists are, perplexingly, taken to see the fair - as if it is something of which to be proud – they are often left waiting for long periods on their bus before they can alight. 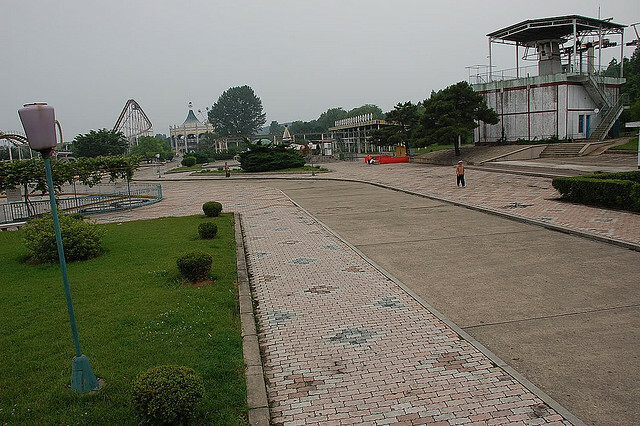 It takes that long for the North Korean authorities to ship in a few busloads of their own people to make the park look half busy. Nevertheless, if you can't get the people, you can get the army. 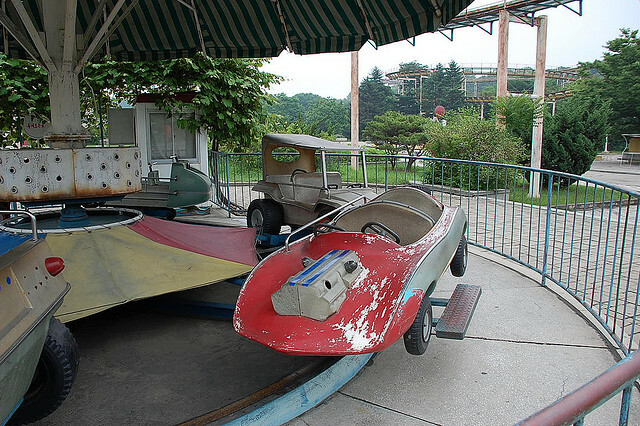 Thousands of North Korea's military personnel risk the lives and limbs of their families each year to experience the closest thing they have to Disneyland. 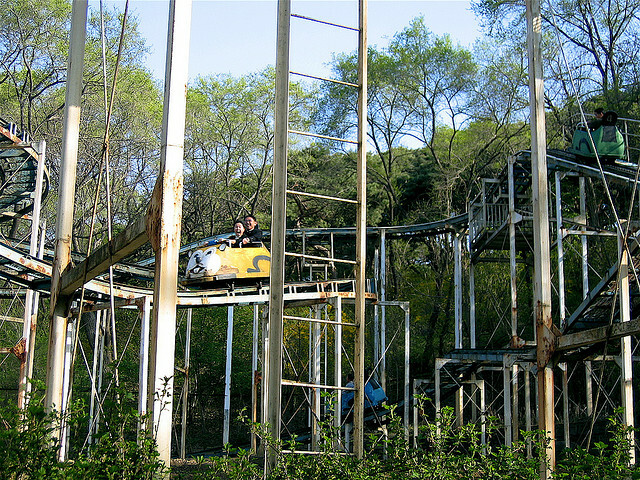 Sometimes the queues even get long for the rides which are still working. 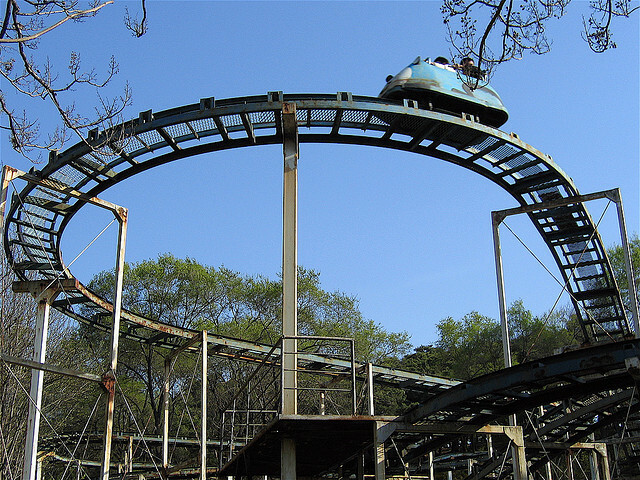 Yet the moment a foreign visitor, willing to pay thirty times more for a ride comes along, the North Koreans are pushed to the back of the queue, uniform or no. 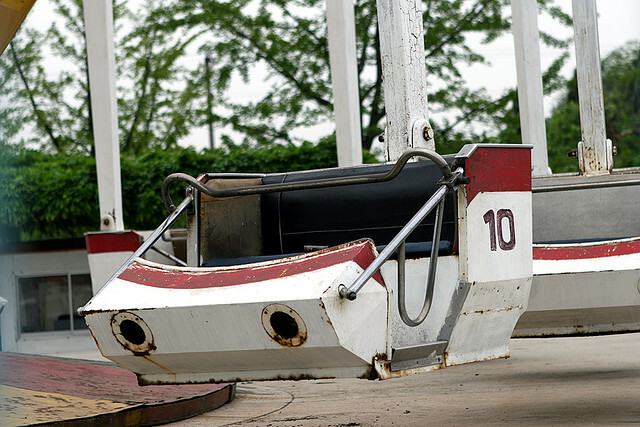 If you don’t want to have a near death experience on the few rides that actually work there are a few alternatives. 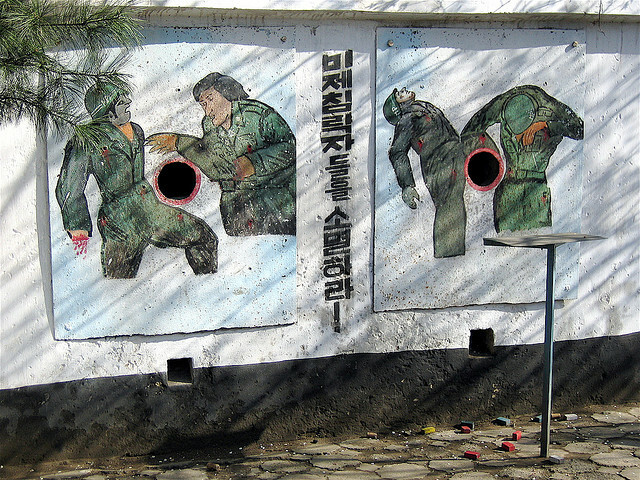 One of them is to pay your money and take your chances at the shooting gallery where you can have a go at shooting an imperialist aggressor. It always seems unnecessarily harsh to chide children from comfortable backgrounds about the sheer luck of their accident of birth. You have probably been confronted with an elderly aunt insisting that you think about the poor children in XYZ when you refused to eat that last piece of cabbage on your plate. 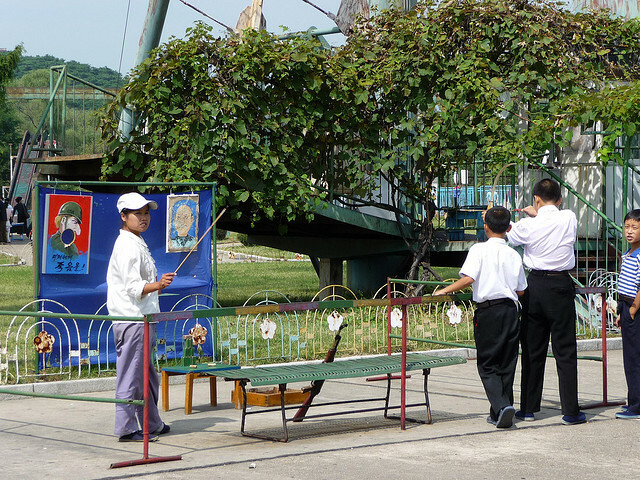 Yet for any parent it would be difficult not to point out to their iPhone smudging, tablet grasping, Wii laden children how different life is for their counterparts in North Korea. 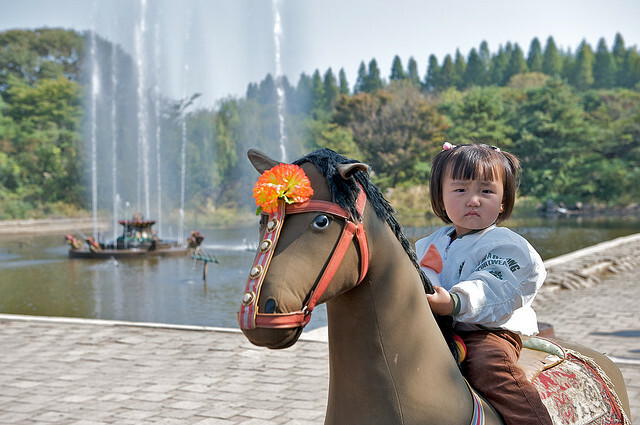 So, if you have kids, next time they misbehave tell them that next year, instead of Disneyland it's going to be Mangyongdae. 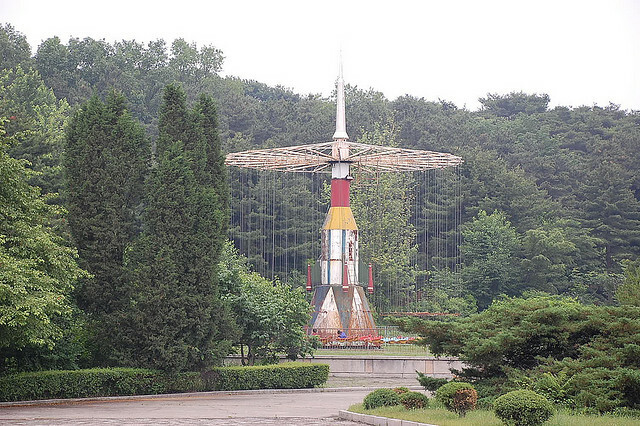 Or, if you can't quite get your tongue around the name, just say that funfair in North Korea. Show them these pictures, they will know what you mean. 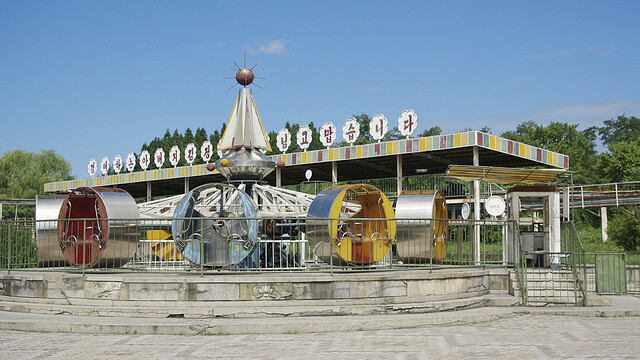 Since the publication of this article we have learned that a new funfair has opened in Pyongyang which, while still very basic compared to our own, is a great improvement on Mangyongdae. Thanks to several of the people below for this information. 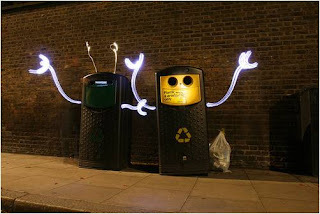 Light writing is an up-and-coming form of stop motion animation in which still images captured using the technique known as light painting or light drawing are sequenced and so generate an optical illusion of movement for the observer. Pablo Picasso used this technique almost a century ago but it has hit our contemporary consciousness just recently, kicking off with an advertising campaign by an American telecommunications company four years ago. This particular piece of light writing was created by German artist Lichtfaktor. I think it should be renamed however: with the use of the telephone boxes in the video, surely the piece should be called Starwars V Startrek V Doctorwho! You may not understand this completely, or at all – I know I didn’t – but you can’t help but be astonished by this bravura piece of animation. You will see all sorts of anime references in PencilHead as well as nods to other popular culture icons, such as Pink Floyd’s walking hammers. It all builds up in to something quite mind blowing! Right Here, Right Now by Fatboy Slim provides the music track if you have been beating your head to remember what it is! 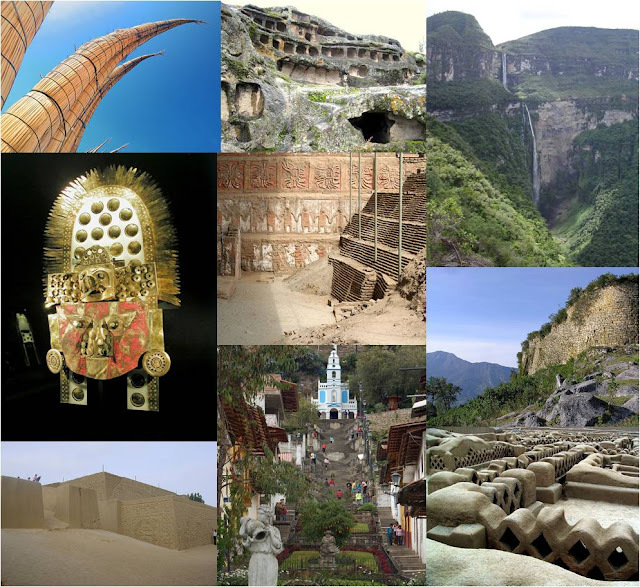 Peru has many mysteries, from Machu Picchu to the Nazca Lines. One of the greatest mysteries, however, is why so few people travel to the north of the country. Only a fraction of those who visit Machu Picchu consider going up north, but this is where you will find some of the most remarkable geography, archeological sites and wonderful colonial towns from which to explore. 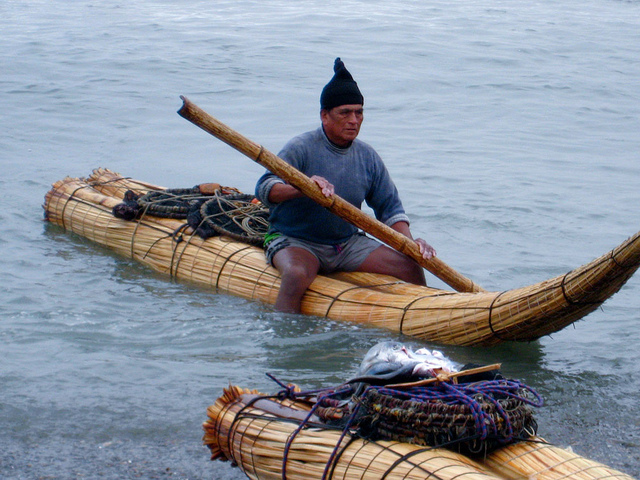 Take a look at the Peruvian road less traveled. Chan Chan. 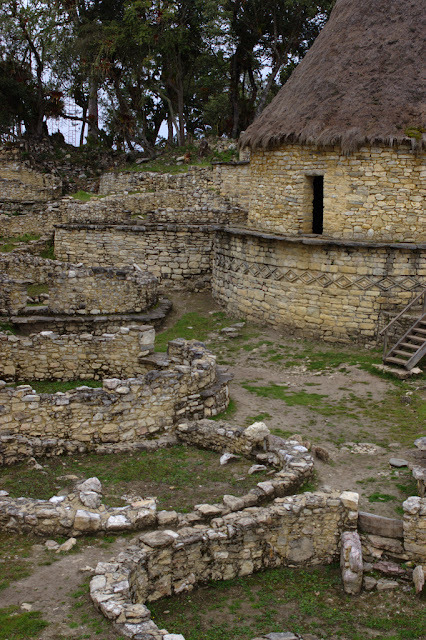 The world’s largest adobe built city receives a tiny fraction of the visitors that Machu Picchu receives. Ten citadels, all walled, make up the site and within them are scores of temples, burial chamber and reservoirs. Triangular in shape the wall that surrounds it can reach sixty feet in height. You can easily get lost in this vast city, made up of a labyrinth of walkways. The surface of walls made from adobe brick were smoothed over and everywhere you will see highly detailed carvings, mostly of animals. 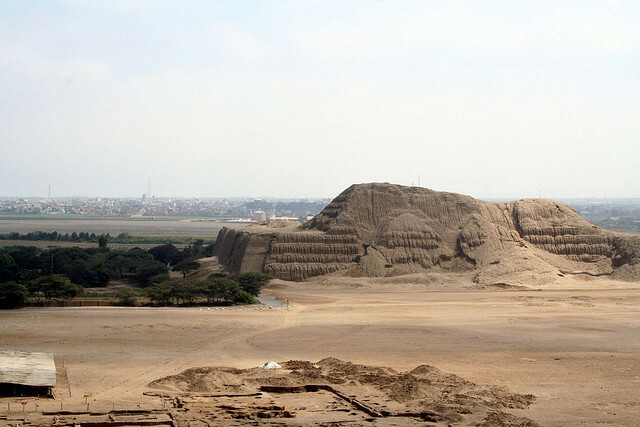 Built around CE 850, the city was built by the Chimor civilization. 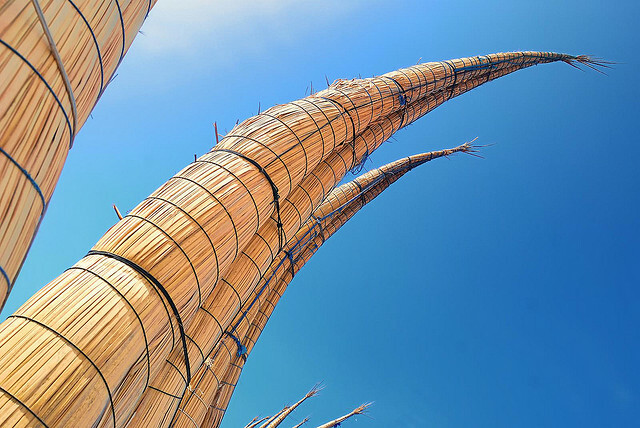 It was conquered by the Incas in 1470 and it is thought that at its height over thirty thousand people inhabited the city, close to the Pacific Ocean. The site covers around twenty square kilometers – its vastness will take your breath away. 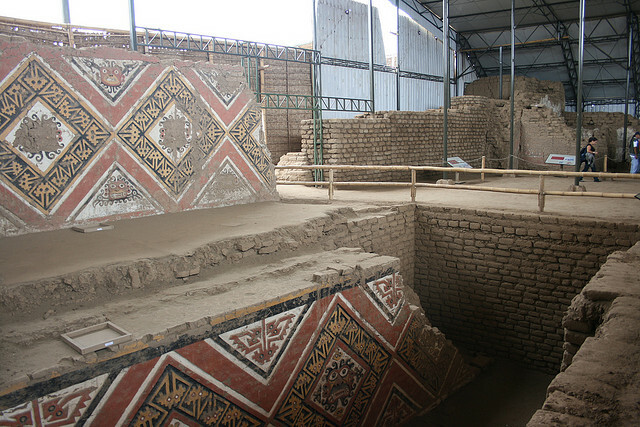 Although some parts of the city are off limits (there are still threats from looters as well as the ravages of earthquakes and our old friend El Niño) the Tschudi Complex, open to the public, will more than sate your appetite for history and archeology at this remarkable place. Talking of sating, where to eat – and indeed to stay, before and after your visit? Chan Chan is only five kilometers away from Peru’s third largest city. 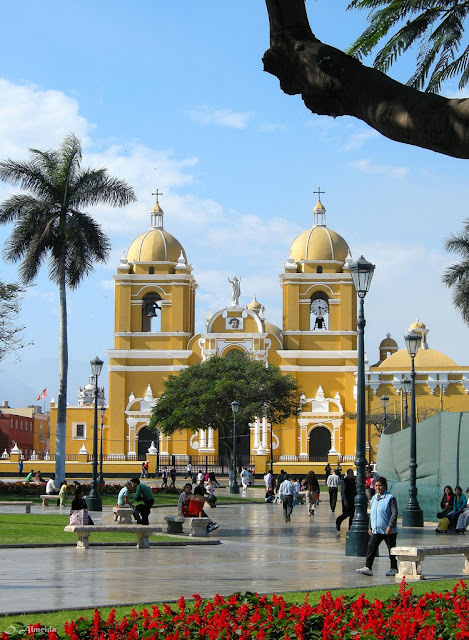 Trujillo has close to a million inhabitants and was founded almost five hundred years ago by the Spanish. If you think you have heard the name before you are quite right – there is a town of the same name in the Extremadura region of Spain. Ironically as things go (another example of course is New York), the Peruvian city is many times more populous than its original namesake. The architecture is very well preserved and beautifully colored. 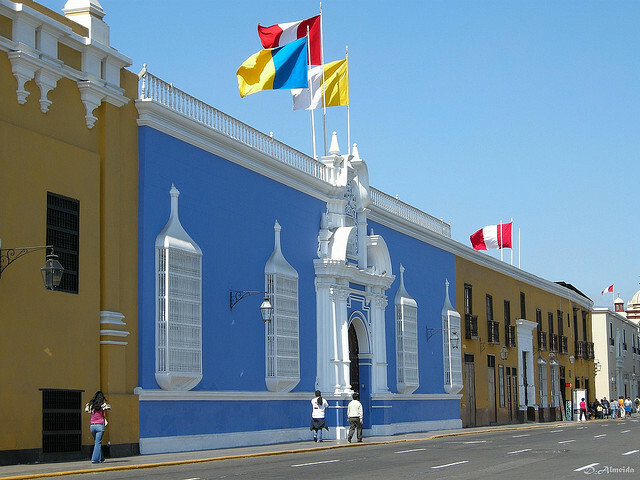 The city was the first in Peru to declare itself independent of Spanish rule, way back in 1820 and was even the country’s temporary capital for a number of years, hosting the famous Simón Bolívar, one of the most important figures in the struggle of Spanish America for independence from Spain. 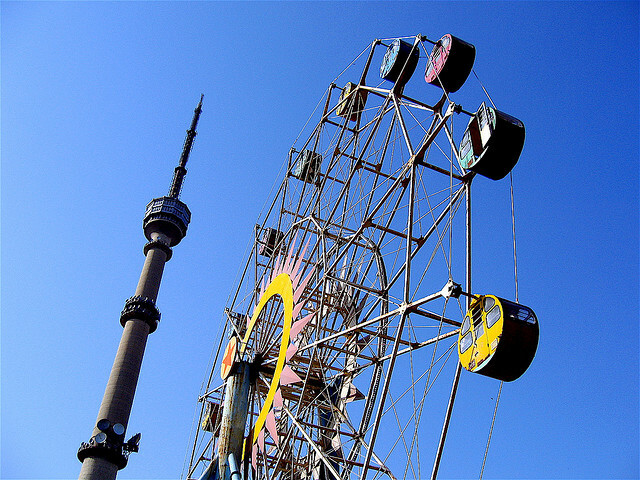 The average temperature of the city is 21 degrees but it can reach 32 centigrade. 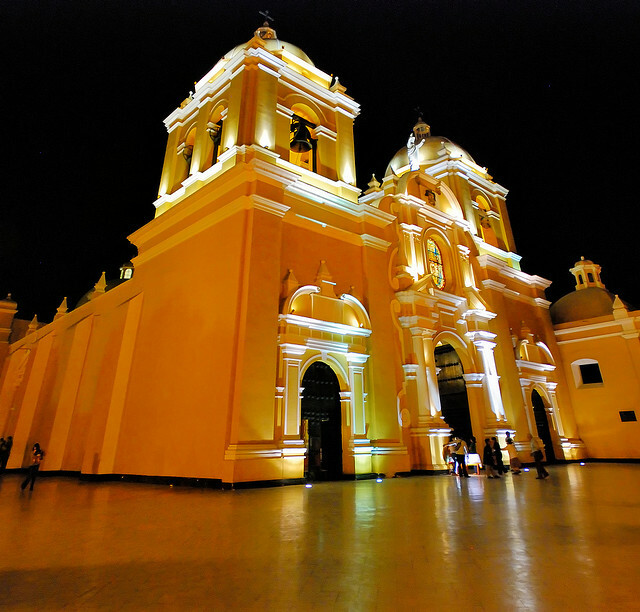 However, although that sounds hot Trujillo is revered locally as the city of eternal spring and indeed, if you can make it during that season you can, additionally enjoy the festival that takes place there during that time. 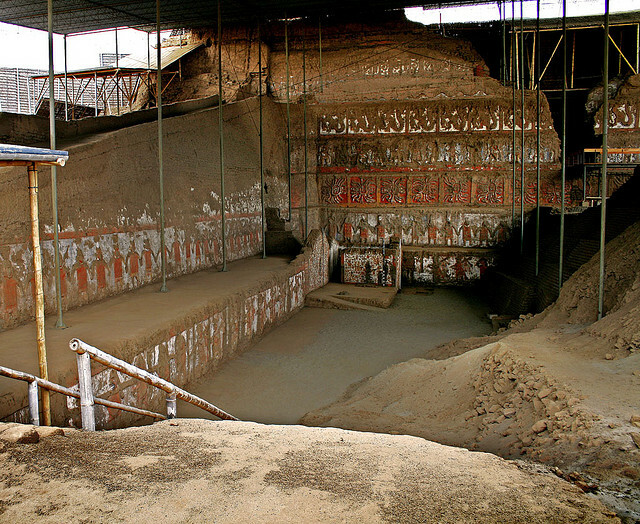 However, if you like a combination of archeology and beach lounging then the coastal town of Huanchaco may be more up your street. Although it is a little further away from Chan Chan than Trujillo, the beaches are wonderful, as is the surfing, and you will still be able to immerse yourself in Peruvian culture. 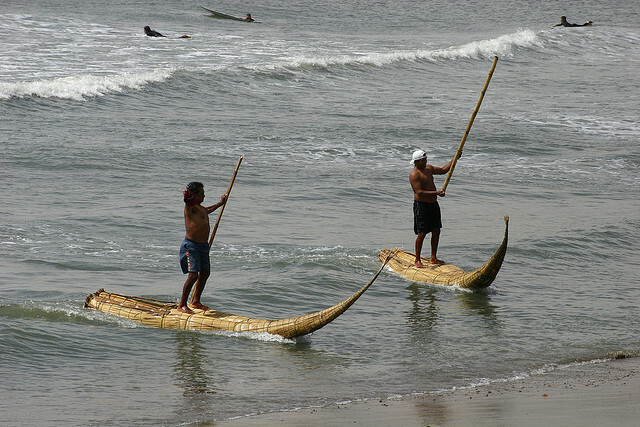 The fishermen there still use paddling boats (Caballitos de Totora) built in the same manner for thousands of years. Some jokily call them the first ever surf boards. 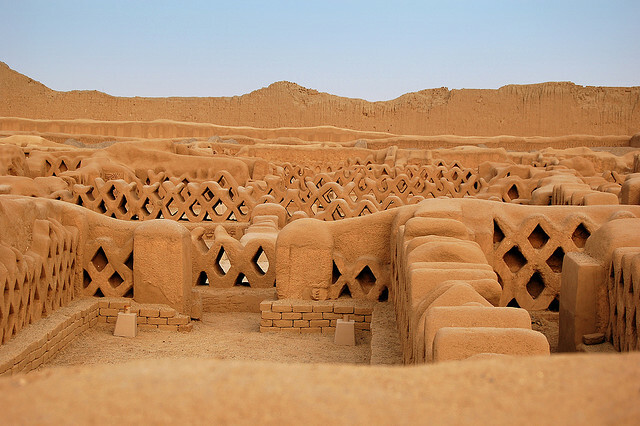 A few miles away from Chan Chan you will find the remnants of an even older civilization. The Moche built two pyramids: each layer of the pyramids was built on top of the previous to provide a ruler with his final resting place. 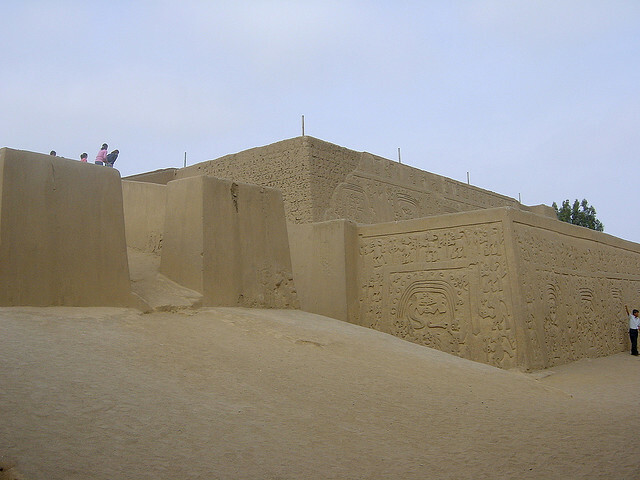 The one known as Huaca de la Luna (the resonantly named Temple of the Moon) is the one which most people tend to visit. The Moche, who built these pyramids between the first and eighth centuries were well known for their predilection for human sacrifices. If you have ever seen a certain Mel Gibson directed film you can imagine the shenanigans. 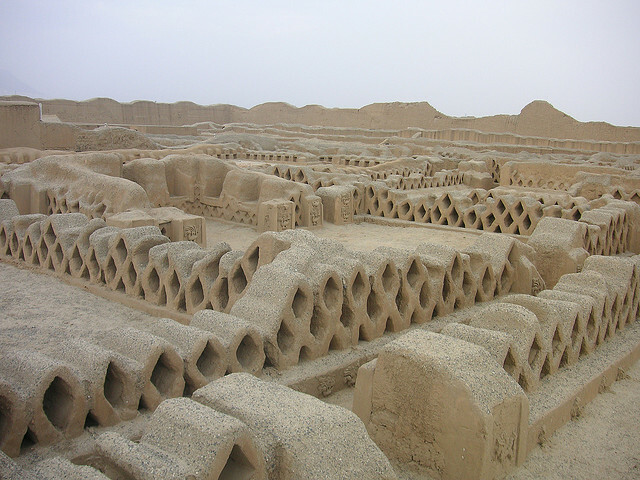 The Huaca Del Sol is the larger of the two pyramids and it too around one hundred million adobe bricks to build. Unfortunately only about a third of it is now extant because of erosion and, you guessed it, looting. 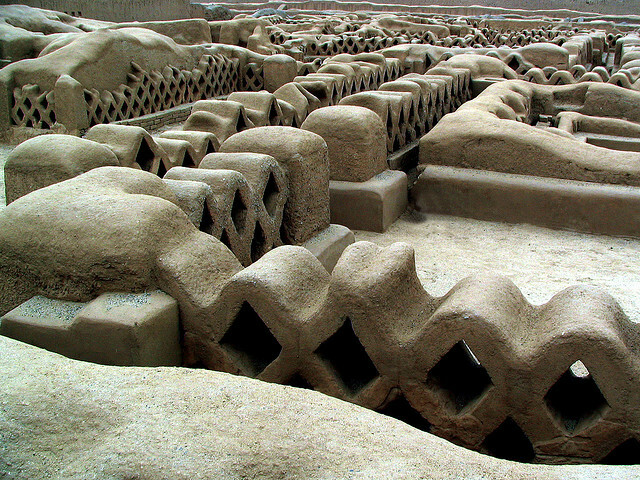 As Chan Chan is the largest adobe city, so Huaca Del Sol is the largest single adobe structure in the Americas. Archeologists have studied the marks on the bricks and have ascertained that over one hundred different communities, from far and wide, contributed bricks to its construction. 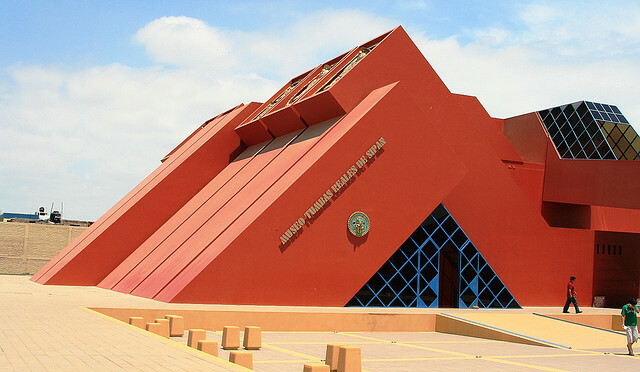 You may be surprised to find such a beautifully stylized and contemporary museum among such ancient surroundings, but three hours drive from the pyramids the busy town of Chiclayo hosts the Museum of the Royal Tombs of Sipán. 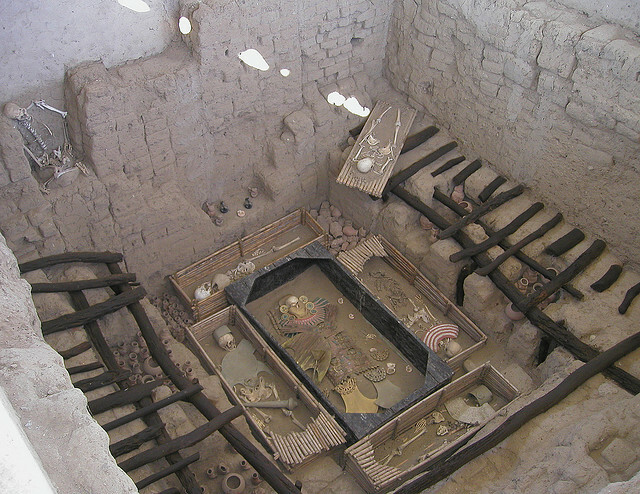 The museum was only opened in 2002 and is designed to look similar to the ancient mausoleums of the Moche people. It houses the discoveries of Doctor Walter Alva Alva and his first wife (who is buried on the front lawn), made in 1987. These discoveries are simply astounding and, astonishingly, do not seem to have become ingrained in the popular consciousness. The museum houses a host of breath taking artifacts made from a variety of materials. 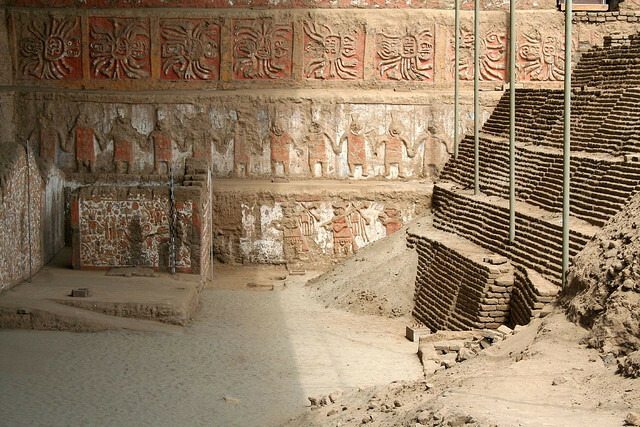 They are from the tombs of two local Moche leaders, known now as the Lord and the Old Lord of Sipán. 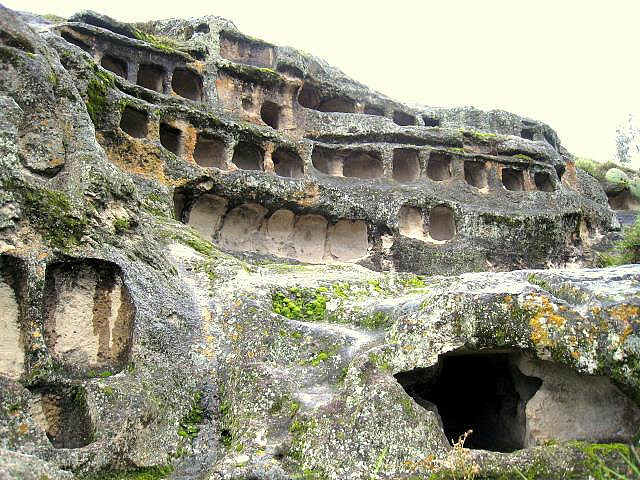 The tombs were discovered intact – no grave robbers had discovered their whereabouts and as such their amazing wealth and wonderful culture is there for us to see today. DNA analyses have been conducted and indeed, the two Lords are related, sowing that a single family probably ruled over the region in ancient times. 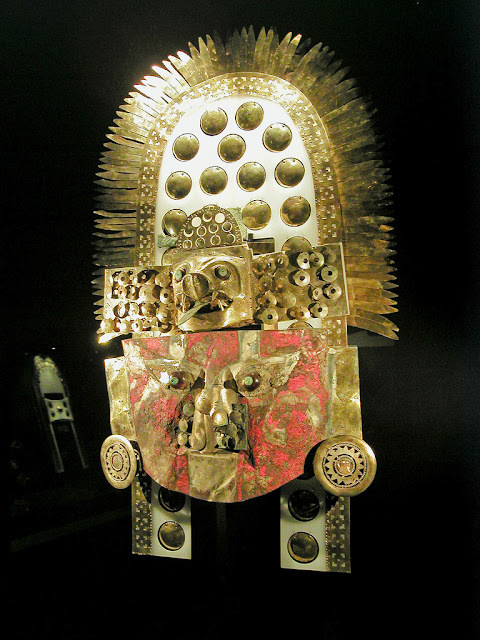 Lord Sipán’s entourage of eight was buried with him – with no feet. No running away from their fate then. 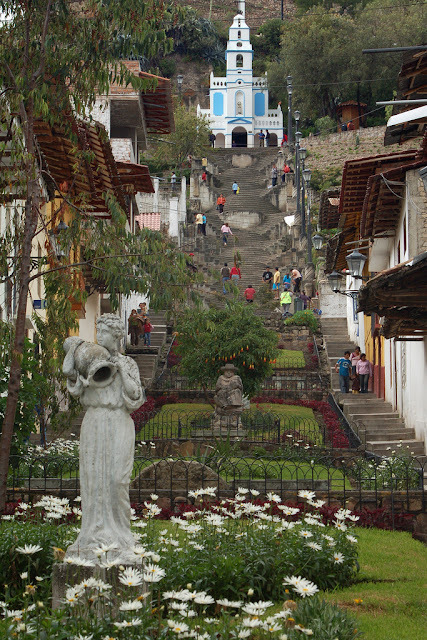 If you drive six miles inland you will come across the beautiful town of Cajamarca. 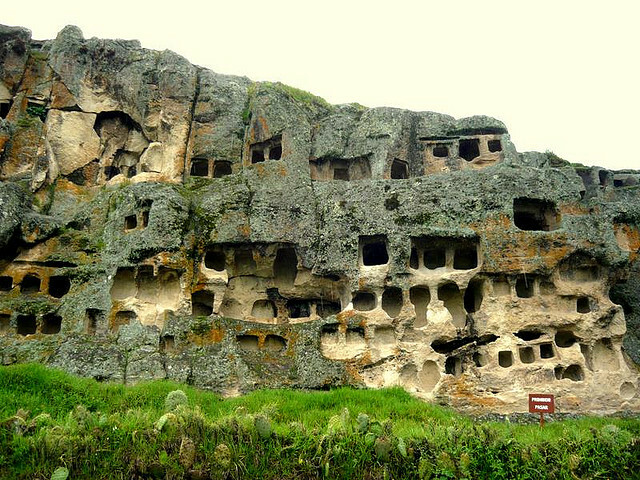 As well as stunning colonial architecture you will discover the Ventanillas de Otuzco (see below), which are where the Incas buried their dead. 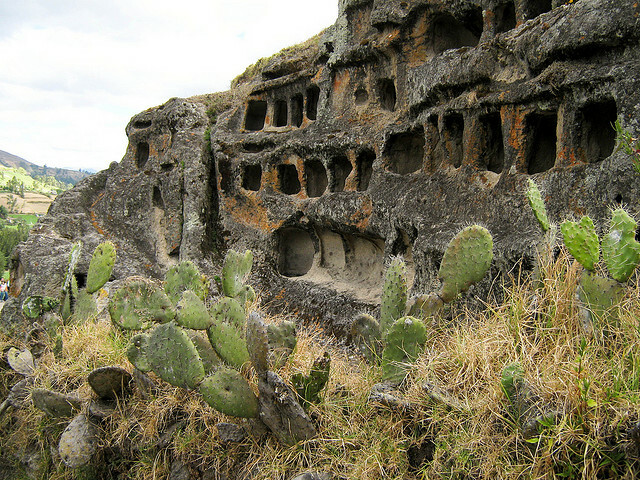 The tombs were excavated from the volcanic rock that predominates in the area. 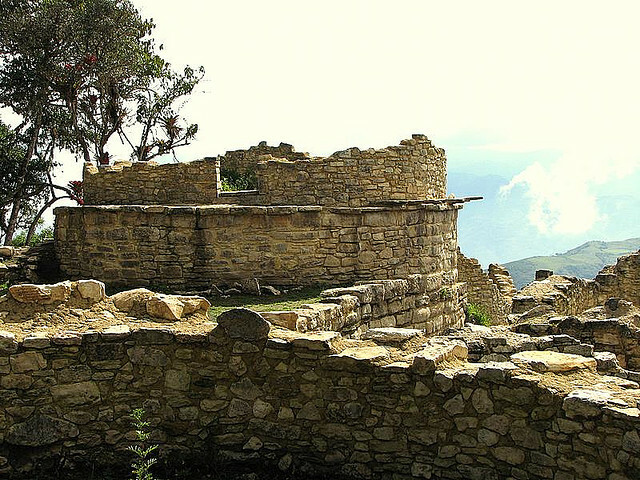 There is also an Incan medicinal hot springs in the city, which saw the downfall of the Incan leader Atahualpa at the hands of the Spaniard Pizarro. Having seen the above you have to be a little more adventurous to get to possibly the prize of Northern Peruvian archeological history. 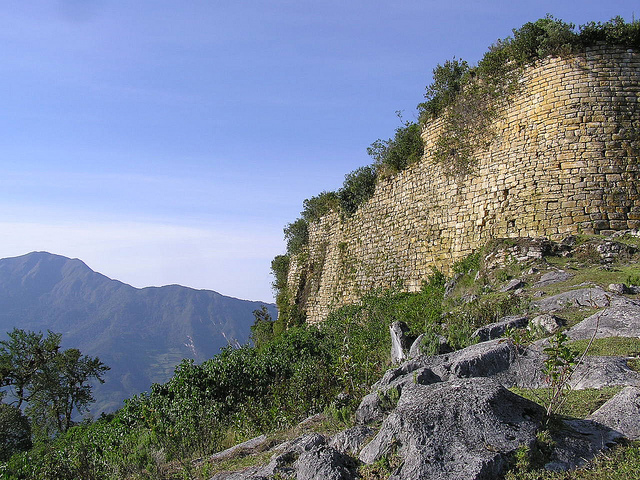 Kuelap is a huge fortress which overlooks the Utcubabma valley. 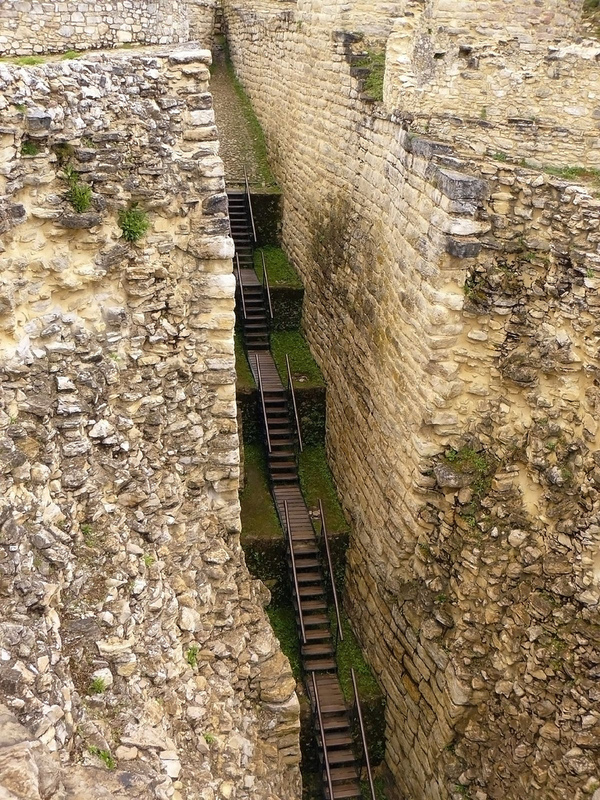 Built for defensive purposes by the Chachapoyas the enormous stone walls that surround the site hold inside them the remains of over four hundred structures. 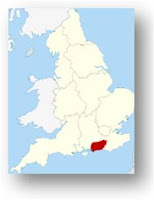 The site was begun at about the same time the Romans were leaving Britain. 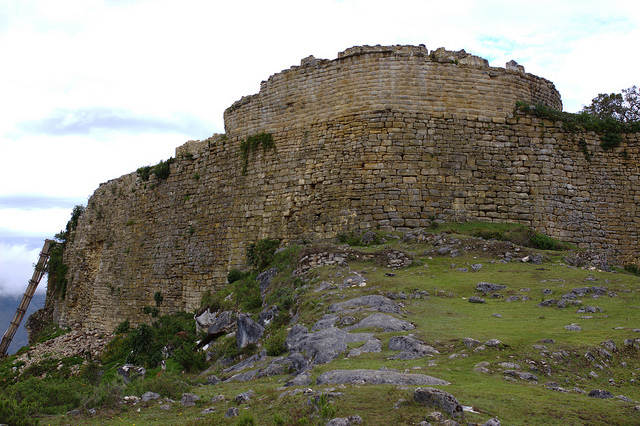 At three thousand meters above sea level the fortress represented a real challenge for its builders and it is large. 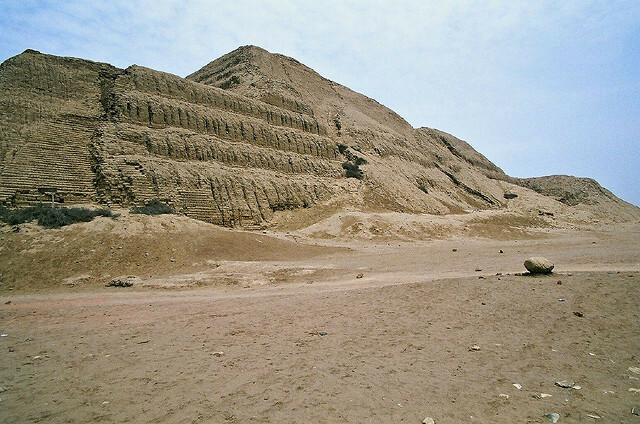 It is as large as or bigger than other archeological sites in Peru and is six hundred meters in length. The walls at their highest are nineteen meters and as such there are numerous layers within the fortress to be explored. This you can do at your leisure and peacefully. 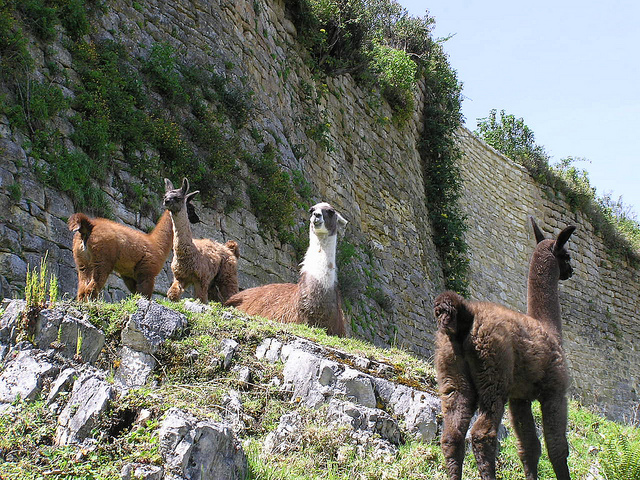 While Mach Picchu receives half a million visitors each year Kuelap hosts a paltry three thousand. If you love your archeology but want the road less traveled then this is the spot for you. 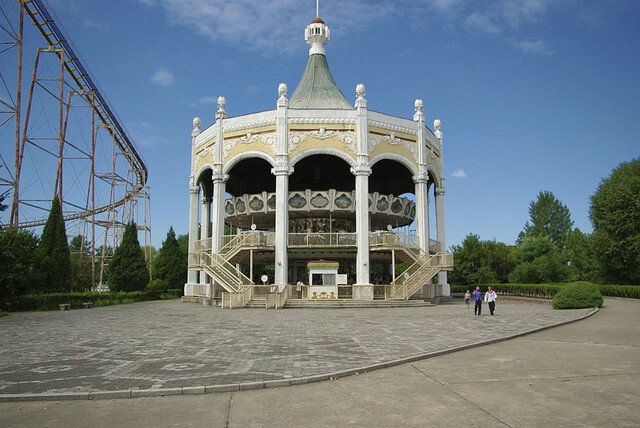 The structures are mostly cylindrical and some of them have been restored (if that is the right word) to bear a resemblance to how they would have looked in their heyday. 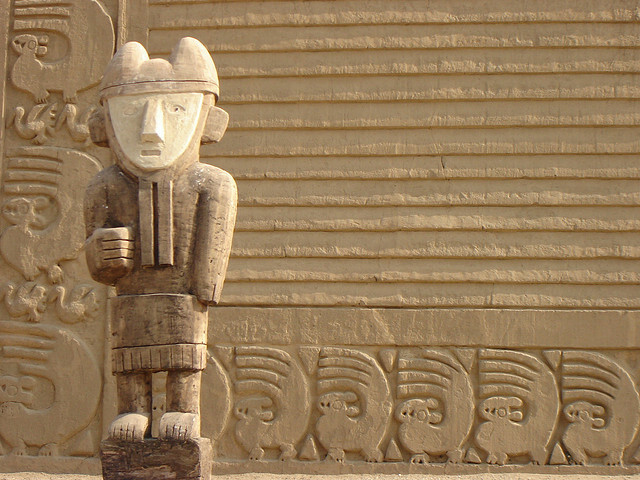 As with many of the other sites in Northern Peru, friezes of animals are an important part of the ornate decorations of many of the structures. 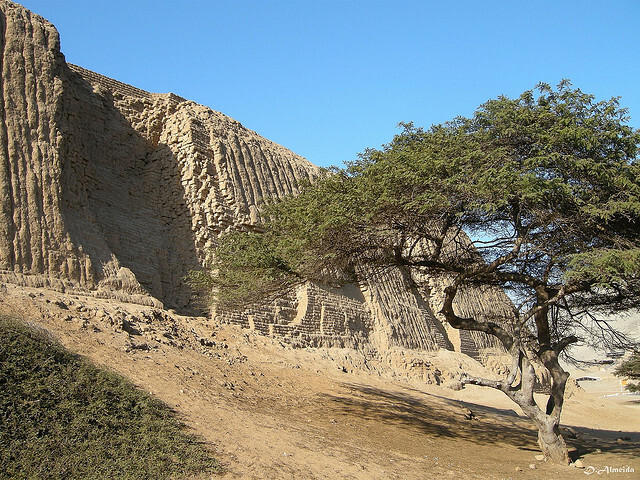 There is a final secret of Northern Peru that should be visited if possible. 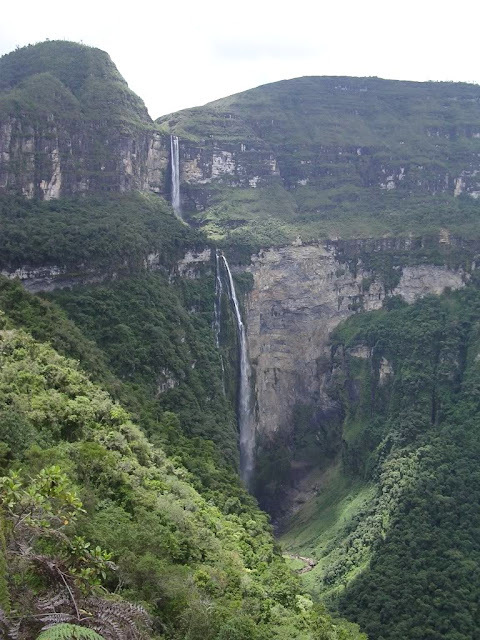 That is the incredible and only recently discovered (by Westerners of course, the locals have known about it for as long as they have been there) Gocta Falls. 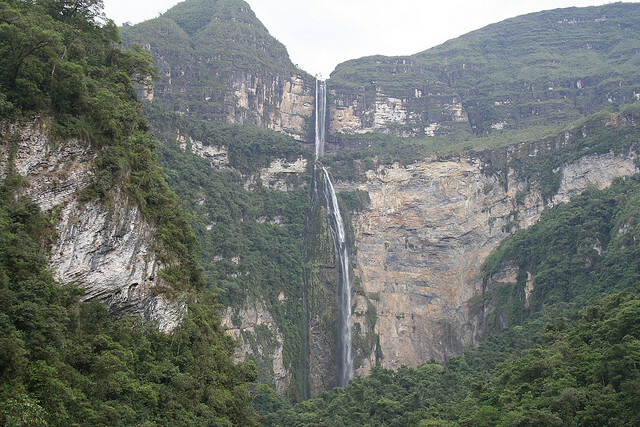 This twin drop waterfall is said to be the third longest in the world (hotly debated), at seven hundred and seventy one meters. The ‘discovery’ was not made until 2005. So, if you are considering Peru for a destination, perhaps you should consider forgoing the more popular (and populous) destinations and head for the north of the country. It is perhaps a more challenging place to visit but possibly a more satisfying one.